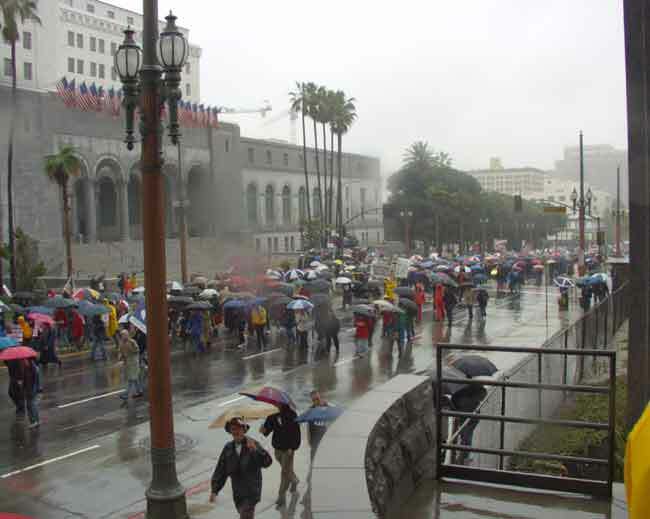 Thousands march in LA dispite downpour. 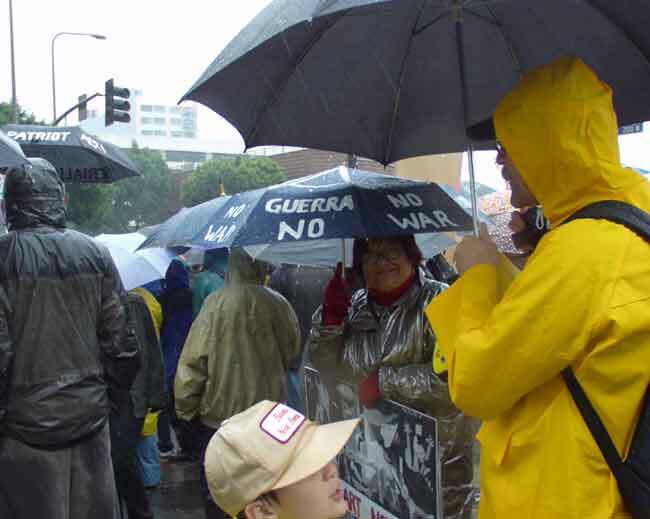 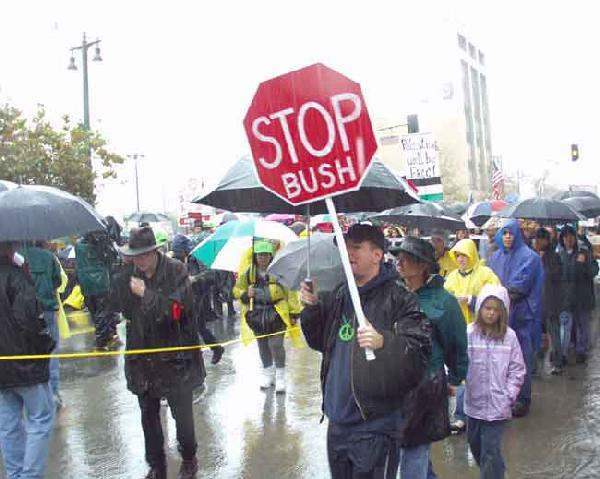 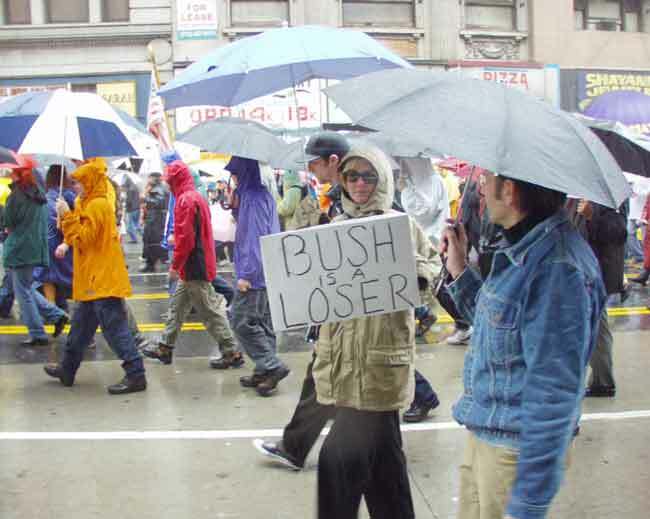 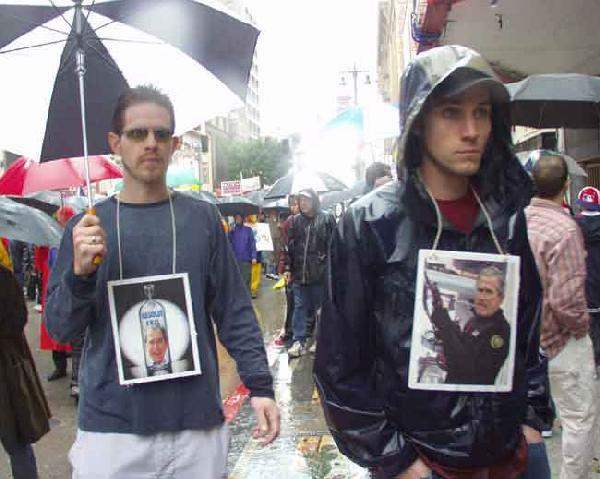 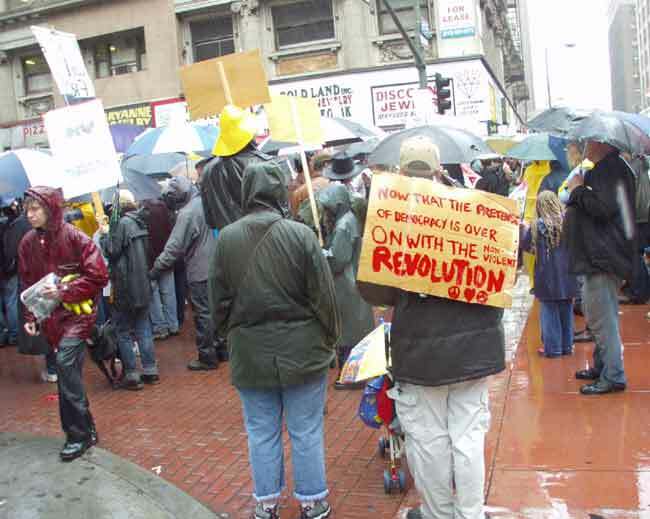 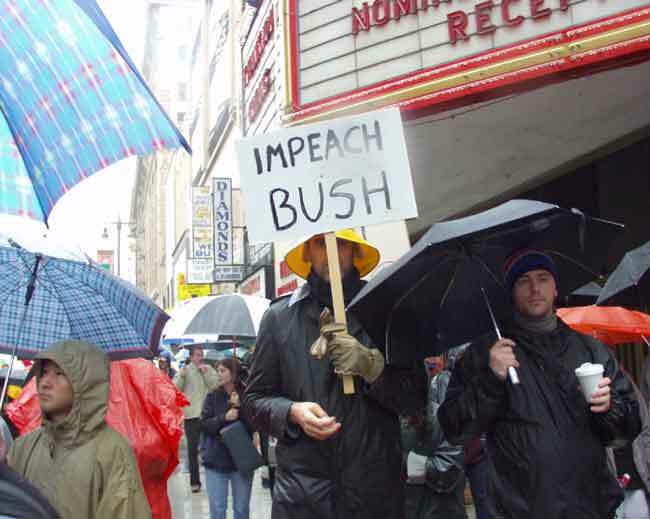 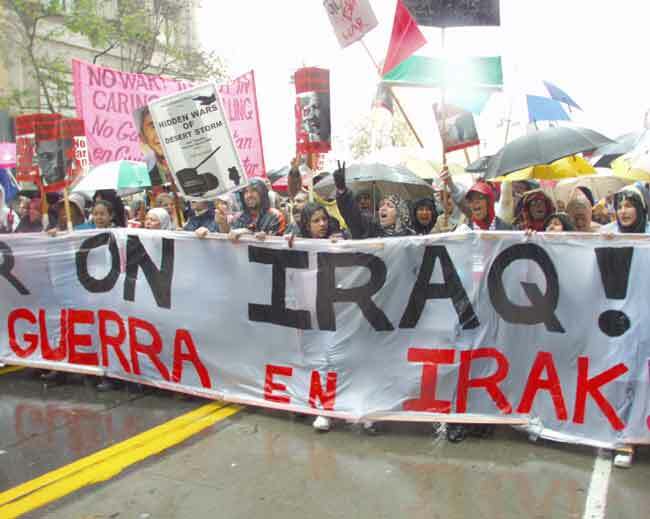 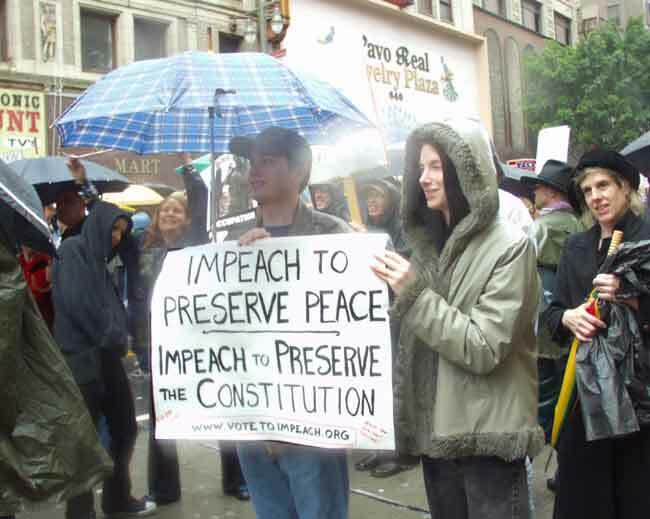 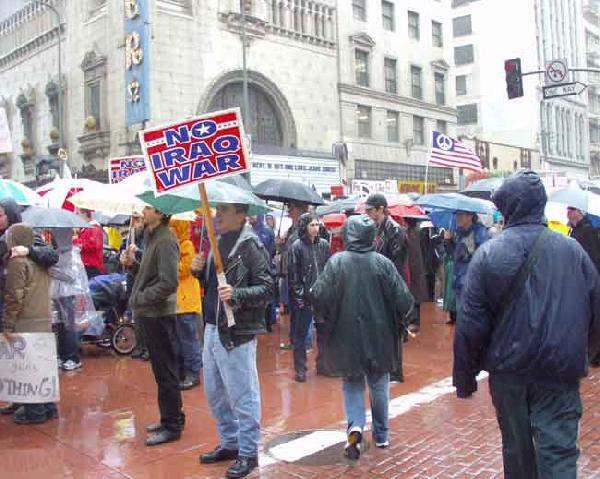 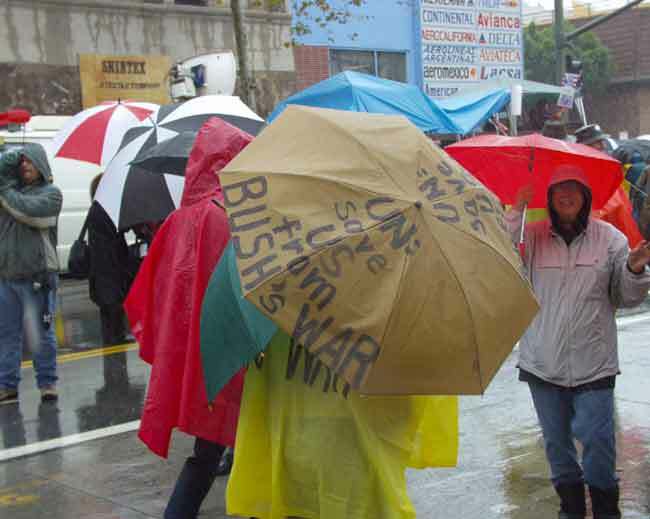 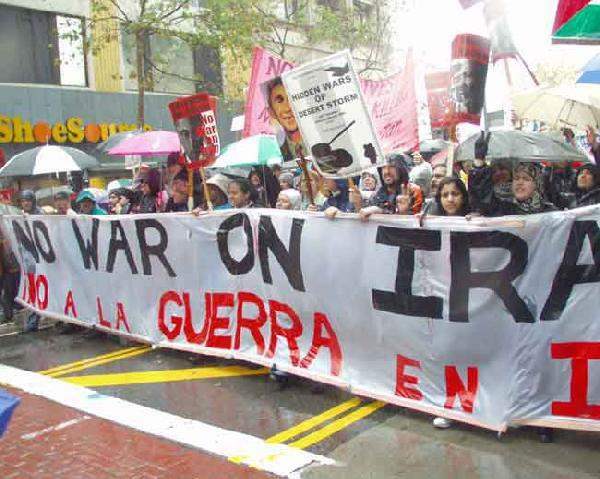 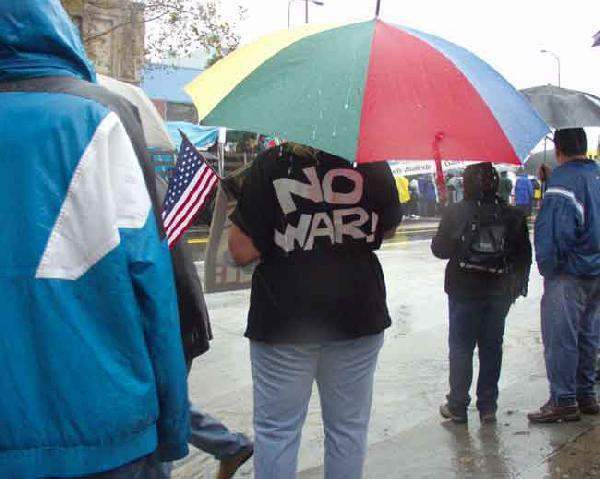 We marched to protest the the impending invasion of Iraq, we marched to stop the Chenney/ Bush scheme to grab Iraq's oilfields for the benefit of their oilmen friends, we marched in the rain to stop the absurd idea of being the aggressor/bully power of the world. 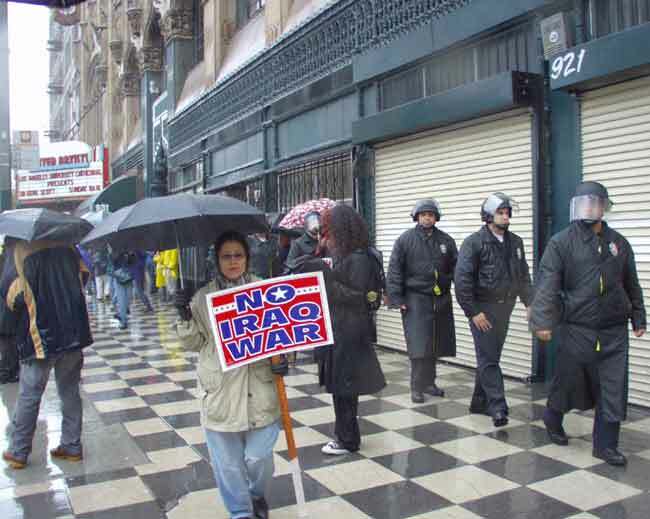 We marched in the pouring rain because we hate the needless death of our young soldiers, the needless death and suffering of Iraq's people, and the needless upheaval of our society. 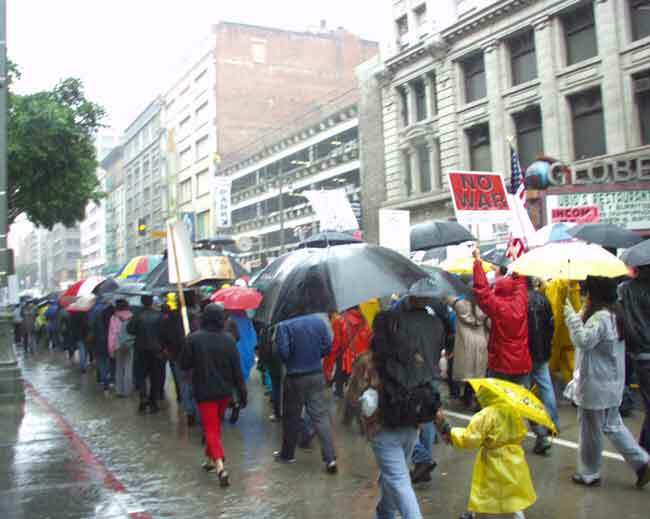 We marched in the damm rain to put a halt to this illigimate administration who think profit before liberty, false security over our civil liberties, extremist right facist views over reason and compassion.